This page gives some details on the .mg (Madagascar) TLD DNSSEC outage on March 25, 2019. This is at least the 22nd DNSSEC outage for Madagascar. 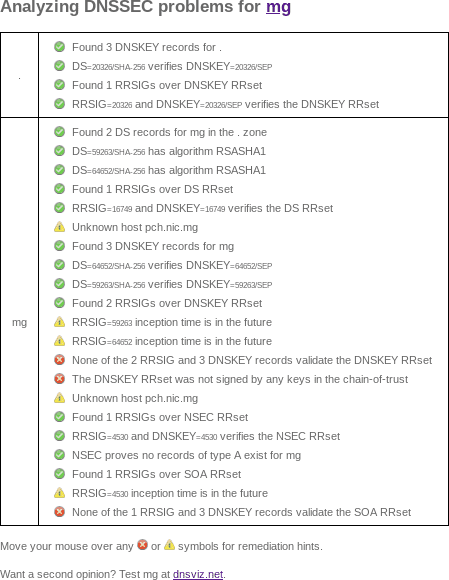 zonemaster.iis.se archived "The apex DNSKEY RRset was not correctly signed."